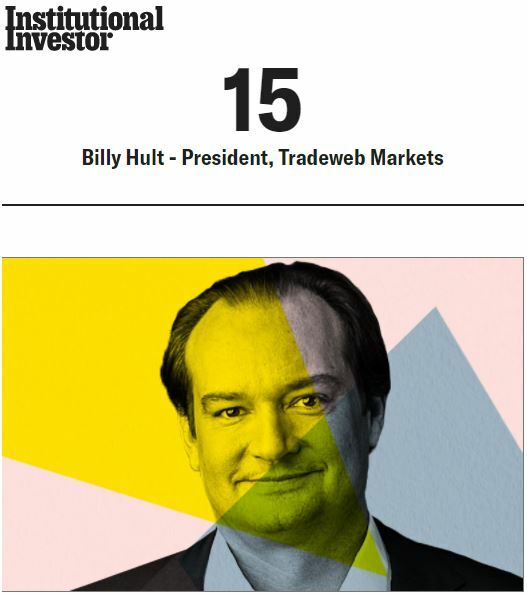 Tradeweb President Billy Hult was named to the Institutional Investor 2018 Trading Tech 40 list. A profile on Hult highlights the expansion of the firm's products, services and marketplaces over the last year. In addition, Hult discusses the range of trading protocols now used by clients, volume growth across markets and the continued innovation in core products at Tradeweb.